The role of IT in today’s fast-paced, ever-changing world is constantly evolving; technology is the undisputed king. The speed and effectiveness with which companies embrace, adapt and implement new technologies determines their ability to be successful in the competitive business arena. Historically, the IT department was systematic. It functioned to analyze, implement and provide structured software solutions for its users, but generally outsourced the customization of technology in response to pre-defined business needs. In order to support today’s fast-paced change, IT teams have greater responsibility for modifying, updating, integrating and changing software on demand. As such, they increasingly seek to implement non-labor-intensive solutions in place, in order to eliminate costly overhead and accelerate change. 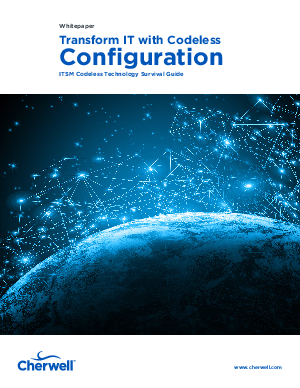 This whitepaper will consider how “codeless” software solutions are favorable to those that require customization with a focus on future-proofing, reduced administration overhead and increased flexibility.